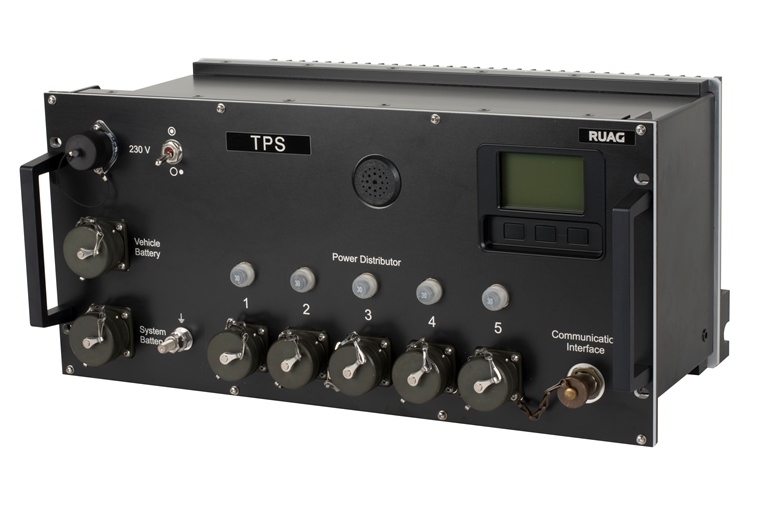 The Tactical Power Supply, TPS R enables the uninterruptable and emission free power supply to the communication equipment in vehicles, remote stations and containers. It is optimized, with its EMC protection, for operation of sensitive radio receivers and can be supplied by different sources such as AC mains, generator or vehicle power. The TPS R, apart from its special EMC protection offers five different protected connections and has the ability for parallel operation in order to increase the available power.